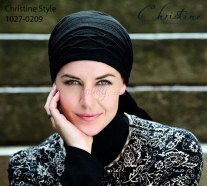 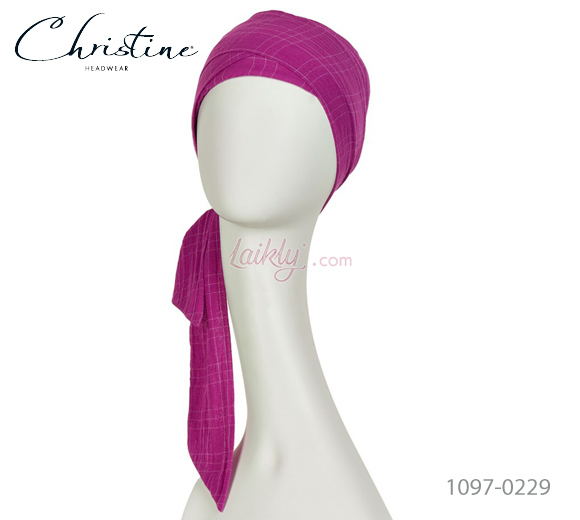 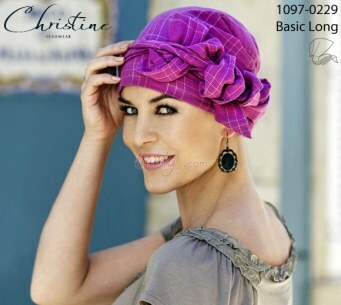 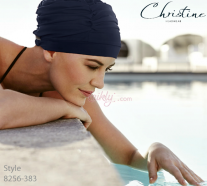 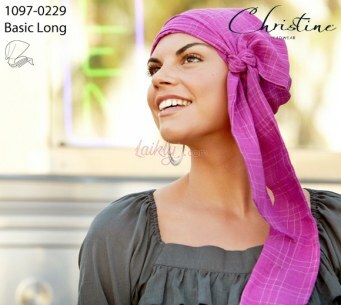 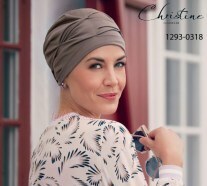 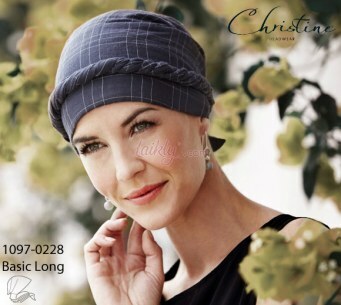 Cotton turban fuchsia or black with white squares. It has long ribbons that make it possible to tie the scarf in many different ways to create volume and effect as well as to adjust the size of the scarf. This model guarantees the right volume and provides fullness to the crown. It has a great fit and is sufficiently long in the back to completely cover the sensitive scalp - even at the back of the head.